North Africa censure Trump's Jerusalem edict - The Maghreb Times ! Egypt and Morocco have moved swiftly to censure a controversial decision by the United States recognizing Jerusalem as the capital of Israel, warning that the move will offend cultural and religious sensibilities and provoke unnecessary tensions in the Middle East.A Foreign ministry statement released in Cairo on Wednesday said the adoption of such unilateral resolutions is contrary to international legitimacy and will not change the legal status of Jerusalem as being under occupation and the inadmissibility of any actions that would change the status quo in the city. Moroccan King Mohammed VI, in his capacity of Chairman of the Al-Quds Committee of the International Islamic Conference, on Wednesday dispatched a letter to UN Secretary-General, Antonio Guterres, expressing deep concern over US recognition of Jerusalem as the capital of Israel and its decision to transfer the American embassy there. “We sent you last July, in our capacity as Chairman of the Al-Quds Committee of the Organization of Islamic Cooperation, a message about Israel’s actions in the Al-Aqsa Mosque in Al-Quds, in an attempt to denounce the violation of the resolutions of the international legality related thereto “, part of his statement said. Tunisia’s powerful labor union UGTT said U.S. President Donald Trump’s recognition of Jerusalem as Israel’s capital and decision to move the U.S. embassy to the city was a declaration of war, a statement said on Wednesday. “We call…for mass protests,” the labor union said in a statement. 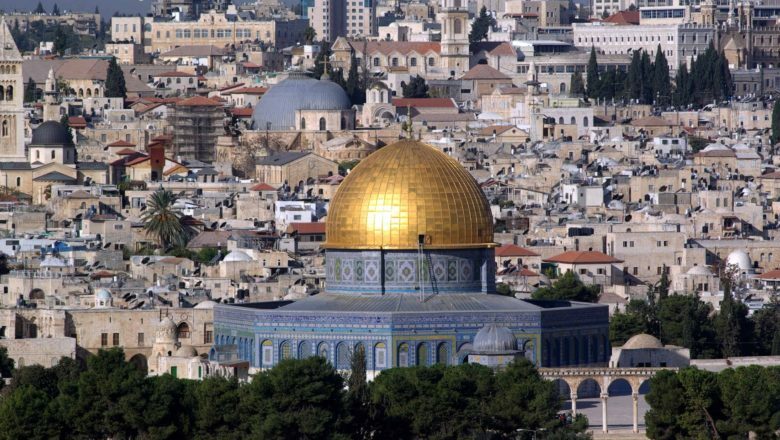 “Algeria has noted with very great concern the American administration’s decision to recognize Al Quds as the capital of Israel,” said the Ministry of Foreign Affairs in a communiqué. “Algeria has strongly denounced this serious decision as it is a blatant violation of the related resolutions of the Security Council and the international law, and would undermine the peace process, which has been at the standstill for a long time,” said the Ministry’s communiqué. “This decision would have serious threats on peace, security and stability of an already sensitive region,” added the communiqué. While reiterating its full support to the inalienable rights of the Palestinian brotherly people, Algeria “urged the international community to mobilize to ensure the respect for the national rights of the Palestinian people and the international status of the Holy City,” said the Ministry’s communiqué. Italy’s Choice: Damned If You Do, Damned If You Don’t.